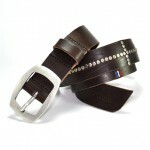 How not to resist to this belt signed by the british Union Jack and metal rivets embossed on the leather. 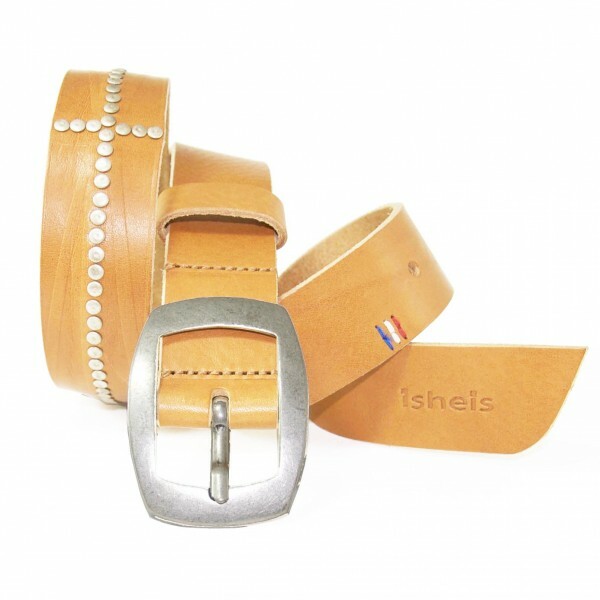 Simple and good design, get the look ! 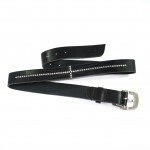 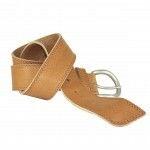 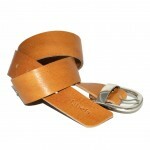 This exceptional quality leather will give a special sheen with time and will never disapoint you. 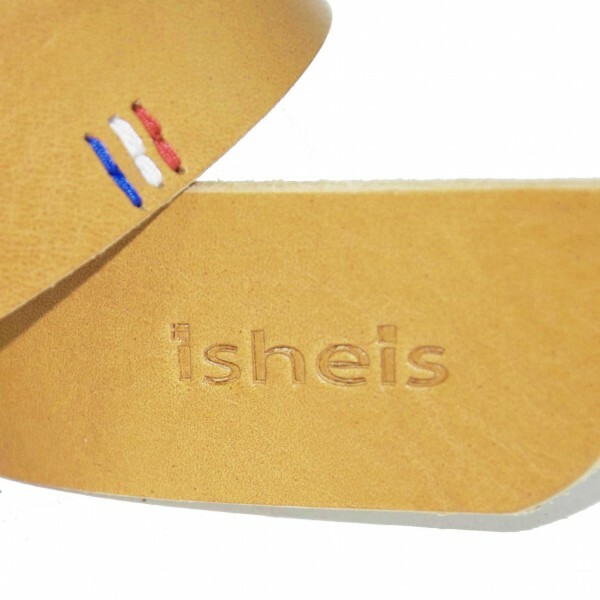 Blue, White, Red embroidery (reminding the french flag) and Isheis logo embossed directly in the leather are the unique signature of this product.